We do like to find out more about the new names that pop onto the trance scene and one of the newest who has been breaking into the scene over the past year is Zaxx. You may remember him from a stunning track he released on VANDIT this year called Illusions. His powerful and uplifting style of trance has made him many fans over the past year and none bigger than us. We went to find out more about this South African producer who has a lot to offer for 2014.
iVibes: Zaxx thanks a lot for talking to i:Vibes.nu. Where are you at the moment and what current trance track has given you the most goose bumps at the moment? Zaxx: Thanks for reaching out to feature me on i:Vibes.nu! I’m home in Johannesburg, South Africa at the moment. One of the tracks that has my complete attention Everytime I hear it, is Binary Finary & Lele Tronique ft Christina Novelli – Waiting For The Sun” (Allen & Envy Remix). iVibes: There are so many artists around and it is impossible to know each and every one and I actually was recently introduced to your music watching a PVD TV episode where your track Illusion is featured. How happy are you to be an artist in the world of internet where getting easy awareness of your music is so much easier than say 15 years ago where there was no internet? Zaxx: I’m certainly happy to be an artist in this electronic age, where my music can be wrapped up in studio here in South Africa, and delivered to the record label across the planet in a matter of seconds. iVibes: You are from South Africa. What was the defining moment where you knew that you wanted to make music? Zaxx: I’ve always had a deep seeded passion for Trance, and being a DJ was just the first step in my vision for the ZAXX brand overall. I’ve been playing around with production techniques and various programs and tools for a few years, but only a year ago felt that I was ready to deliver my material to the world, with the best results I could have imagined. The defining moment was probably when I got to see Paul van Dyk live in South Africa recently. His performance and set were inspiring. iVibes: You are from Johannesburg. How is the state of trance there and how do you get along with artists? You belong to the best known at the moment with Protoculture and Adrian Sina. Zaxx: The South African scene is small but it has a dedicated following. It’s certainly seen healthier days, but there has been a recent boom with more and more international artists visiting South African shores. Most of the local artists get along well and compliment each other – while there is that ever present “political” aspect, the Trance community has more of a sense of togetherness and synergy. iVibes: You list artists like Armin Van Buuren, Above and Beyond, Cosmic Gate, Aly and Fila, Gareth Emery that you like. Which artists influenced you most of the years that helped shape and define your sound now? Zaxx: It was certainly more of the traditional “big names” like Armin, Paul van Dyk, Tiesto (in his early 2000’s sound), Paul Oakenfold and Above and Beyond. iVibes: Does your artist name Zaxx have a special meaning and why did you decide to name yourself this? Zaxx: Zaxx is actually just a play on my real name which is Zaakir. Finding the name didn’t have too much thought into it, as it was simply a nick name friends would call me by back in school. iVibes: Your first track was “Feel me” with Tiff Lacey on vocals. How did this collaboration come about? Zaxx: I worked on the track in late 2012 with my mind set on having a great vocal track for my first official release. When the instrumental was close to complete I reached out to a friend of mine who is an established artist, and he introduced me to Tiff Lacey. I sent the track over to Tiff who sent the most fitting vocals back, and I just finished the track off in a few days after that. iVibes: Did you have a certain goal and route you wanted to go with “Feel Me” What was the most difficult thing that you and to perfect in this track to make perfect for the Zaxx sound? Zaxx: My focus was to encapsulate a combination of elements I was “feeling” at the time of producing the track, like the electro bassline for example. Being the first track I was set on releasing after many months of “studio only” productions, The most difficult part was to deliver a track that had production quality that could stand out with tracks by well established artists. iVibes: How would you define the Zaxx sound in 2014. Do you prefer more the vocal tracks or the instrumental? Zaxx: Versatility is the key, but the core sound would be toward the vocal and uplifting tip. My release schedule for 2014 and beyond includes both instrumental and vocal releases. iVibes: In 2013, you produced Worlds Collide. You opted to work with a male singer as has German artist DJ ATB in the past. What kind of feeling does that male voice give you over inserting a female voice? Zaxx: I heard Dustin’s voice whilst browsing YouTube. There was an Aly & Fila remix of a track he did called “Alive”. I really liked Dustin’s voice and wanted to work on a track with him right away. I think Male vocals just add a different dynamic to the genre, because these days most tracks out there feature female vocals. While this isn’t a bad thing, I think that the male vocal adds a different “edge” and can lend to a more “Rock” vibe, which is The direction I was heading for. iVibes: A few months ago you released the amazing Illusion on Vandit. I love this track and it is for me track of the year. When you finished it, how sure were you that it would be loved by so many? Zaxx: When the track was finished, I didn’t listen to it for 2 or 3 days. Then when I heard it again, I was blown away, It was as if I was listening to a massive production by one of my heroes. That’s when I knew I had something special in my hands. iVibes: Illusion is an amazing soundscape and reminded me a lot of the early Nu NRG sound. How long did you work on this track and what was the most difficult thing you had to do to get the track perfect? iVibes: Did you get any feedback from Vandit boss Paul Van Dyk on your track Illusion? I am sure he said Illusion is the perfect Vandit track? Zaxx:I sent the track to my manager, who sent it to Vandit. After about 2 weeks my manager called me, and just said “you’re signed to Vandit”. It was surreal, a dream come true in a sense. The feedback from PvD was positive and constructive. While he loved the way the track sounded, he had made a few minor suggestions on how he felt I could make the track even better with a couple of tweaks, and, well when PVD gives you advice – you take it! iVibes: What further Zaxx releases can we await from you in 2014? Zaxx:There are two tracks I’ve finished, one vocal, and one instrumental which will be follow ups to “Illusion”. I’ve also finished a remix for Steve Morley, due for release soon on Allen & Envy’s “Together” record label. Those should cover my content until the summer ends… and I’ll certainly be working on more material for the rest of the year. iVibes: What is your goal with label Southern State Music? How is this unique from other independent labels? Zaxx: I’ve made my international debut recently in Dubai, and have a few shows lined up including Europe and North America. I’d certainly love to visit Germany – I’m familiar with Technoclub and Talla 2XLC’s reputation, and perhaps I could be rocking the decks out there soon! iVibes: What is your overall impression of the German trance scene? What German artists besides Cosmic Gate do you like? 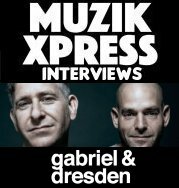 Zaxx: I think along with Holland, Germany has some of the best Trance artists in the world – including Paul van Dyk, ATB, Alex Morph, Woody van Eyden, Kyau & Albert, and I guess Markus Schulz too. iVibes: How is Zaxx the producer different than Zaxx the DJ. What is the most important thing that you do as a DJ behind the decks? Zaxx: I don’t think the producer side of me, and the DJ side of me are too different, because at the end of the day it’s about the feeling I get when I hear what’s coming out of the speakers. iVibes: With what artist would you like to be locked away in the studio for 24 hours to make amazing music? Zaxx: Paul van Dyk, BT, and Gareth Emery make up part of that list! iVibes: What are your five favourite all-time tracks? iVibes: Thanks Zaxx for the chat. We hope to see you in Germany soon. Zaxx:Thanks a lot, and hope to see you soon! !